Alan Hanesana is from Bangkok, Thailand. He will be entering his second year at Honolulu Community College, and he is pursuing a Bachelor of Applied Science degree through the Computing, Electronics, and Networking Technology (CENT) program at University of Hawai’i–West O’ahu. 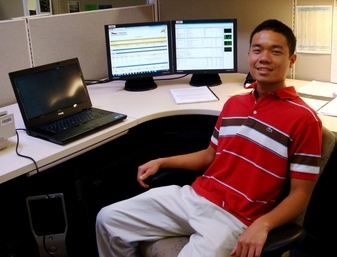 After graduating, Alan plans to move forward with further education In computer science.